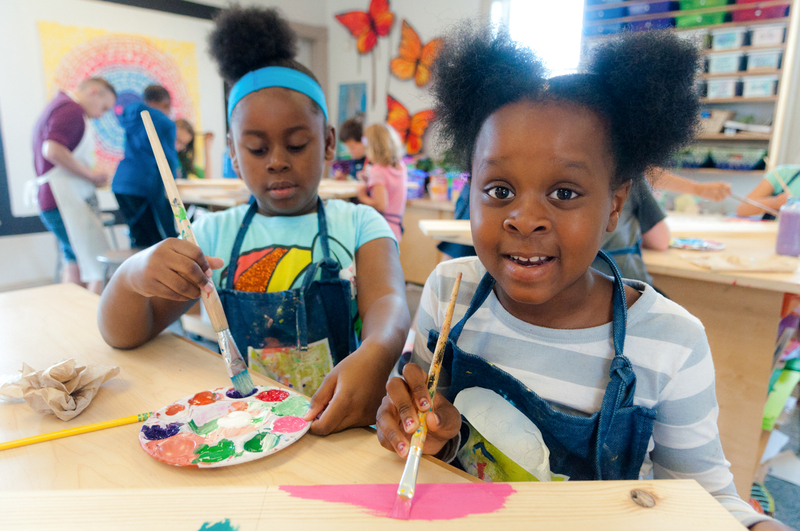 WPCA is seeking an Arts Education Coordinator to teach our on-site art programs and support off-site residencies at schools and with community partners. The ideal candidate will have experience in art education, an understanding of the non-profit sector and excellent organization and administration skills.  Create a classroom space that is inclusive, safe, and that nurtures creativity in program participants.  Ensure that “Hands-On” curriculum is inventive, educational and relevant to the needs of the communities served and that advance WPCA’s mission.  Order, secure, and manage special services, equipment, supplies and A/V materials for studio classrooms.  Research, plan and develop all lessons for programs that are housed on-site and work closely with visiting instructors to ensure organizational benchmarks are being met.  Manage on-site volunteers, interns and contractors under WPCA’s art education programming.  Foster strong partnerships with community partners.  Lead the arts education program showcase and curate the annual Youth Art Exhibit.  Maintain a display of artwork in the classroom and designated gallery space throughout the year.  Assist Executive Director in data, and evaluation collection to meet various granting requirements; identifying funding support for proposed projects; and lead maintenance of participant records to synthesis required reports.  Coordinate with Marketing Communications Coordinator to develop content for marketing within our various streams.  Excellent project management and organizational skills.  Highly collaborative style, experience developing and implementing art lessons and programs.  Knowledge of the non-profit and/or arts, education and community based initiatives.  Self-starter with the ability to work in an ever changing environment.  Problem solving attitude, self-directed, resourceful and entrepreneurial.  Ability to relate to and work with a wide variety of stakeholders, relationship builder.  Ability to adapt to a changing environment and handle multiple priorities.  Sincere commitment to our mission and willingness to work collaboratively with all constituents groups including staff, board members, organization members, artists, educators, volunteers, program participants, families and other supporters. Education: AA/AS degree in Arts Education, Arts Administration, Community Arts, Fine Arts, or equivalent experience is required. BA/BFA is highly desired. Salary is commensurate with experience. This is a 30 hours a week position with a focus on 2pm-7pm schedule during the school year + 10 hours that are flexible and determined by WPCA programming. Must be willing to work some extended hours, and some weekends. Reports to the Executive Director. Email cover letter, resume and portfolio/samples (link and/or attachment no greater than 7mbs, please) to xela@wpca-milwaukee.org. August 18th. No phone calls.